Here are 10 new beauty brands that launched this year everyone should know about and support. 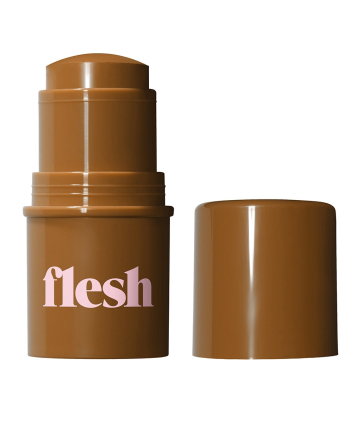 Flesh An inclusive Revlon-owned brand created by Allure's founding editor, Linda Wells, Flesh is built on the premise that flesh isn't one color — it can be any complexion you want it to be. The prestige line carries 40 travel-friendly, medium-coverage stick foundation shades fit for a wide spectrum of skin tones as well as other classic cosmetics like monochromatic eyeshadow palettes, bullet lipsticks, natural-looking highlighters and more.